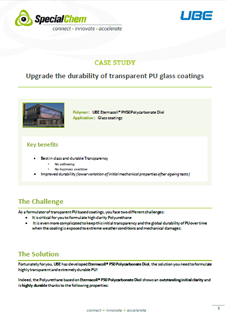 ETERNACOLL® PH200D by UBE is a solvent-free, liquid copolycarbonate diol. 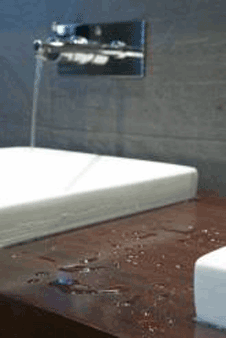 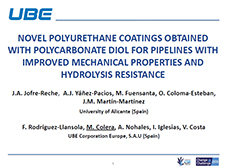 Provides enhanced hydrolysis resistance, higher gloss, improved scratch and abrasion resistance. 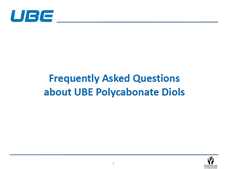 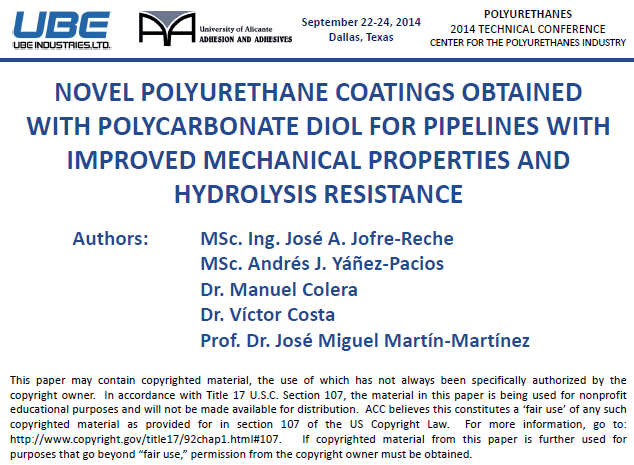 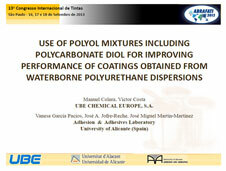 Offers better adhesion to metal even after weathering and better corrosion resistance by replacing the blend of a classical polyol by this polycarbonate diol in metal coatings. 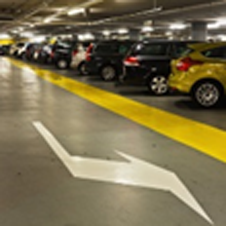 Used for wood and leather coatings which further contributes to provide better stain resistance as well as enhanced performance for outdoors furniture, flooring and pavements coatings. 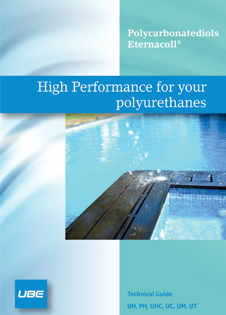 Polyurethanes produced from ETERNACOLL® PH200D are superior to those based on polyether diol as well as polyester diol and provides flexibility, softness, high chemical resistance and high mechanical properties.